The territorial government is still awaiting details from Ottawa about how to get rebates from the carbon pricing mechanism into Yukoners’ mailboxes. Meanwhile, the premier explained Wednesday that most of the particulars have already been revealed. In fact, there is very little left to reveal ­– by his counts, about 10 per cent. “Over 90 per cent of the information has already been shared,” Silver said while speaking to reporters Wednesday afternoon. His comments came after he was questioned in the legislature earlier by the opposition about the tax. Among a number of motions brought forth by the Yukon Party on Wednesday was one that called on the premier to seek advice on how to negotiate an exemption for home heating fuel. That’s after the Yukon’s neighbour to the east, the Northwest Territories, is set to begin rebating in full the tax for heating fuel for most residents, businesses and governments. According to statistics from the N.W.T. government: heating a single detached dwelling will set you back about $7,000 per year in some communities, compared to about $2,000 in southern cities. The rate for heating fuel in the N.W.T. will be about 5.5 per cent come 2019, steadily rising to just under 14 per cent come 2022. The rebates from heating fuel are expected to provide on offset of more than $9 million per year from the levy once it’s fully implemented. The federal backstop is also set to result in about $435 in the direct cost for heating fuel, as per N.W.T. estimates shown on its webpage. Meanwhile, the Yukon is exempting aviation fuel from the levy come the implementation date of July 2019 – the same time it is set to kick in in the N.W.T. and Nunavut. But there has been no announcement yet on home heating fuel. As previously referenced, the territory did release some hard figures last April thanks to an analysis of possible impacts of the tax and a summary of the federal government’s analysis (as a background). Both those documents are on the Environment department’s site. They note that the average cost to a Yukon household is pegged at about $260. That figure could of course jump each year until 2022, eventually reaching $50 a tonne. That means the $260 estimated figure provided last spring will be $520 – which is closer to the figure the N.W.T. estimates at $435 per household, as referenced above. That document also shows that about 75 per cent of the projected impacts on households in the territory for 2018 can be traced back to seven factors – one of those factors being home heating fuel. It continues that these are also generally direct impacts, whereas indirect ones include those embedded in the purchase of foods, for example. Still, it remains unclear whether that is something coming down the pipe. “There are only a few different small little pieces that are left,” Silver had said earlier in the house Wednesday, acknowledging that includes how to get cheques into mailboxes. His government’s intention, though, has been to administer those cheques without growing the bureaucracy and administration needed to do so. It comes after he had hinted there may not be any more announcements to come about rebates as the “lion’s share” has already been made public. “We have explained all of the rebates,” he said partly in response to the Yukon Party in the house Wednesday. 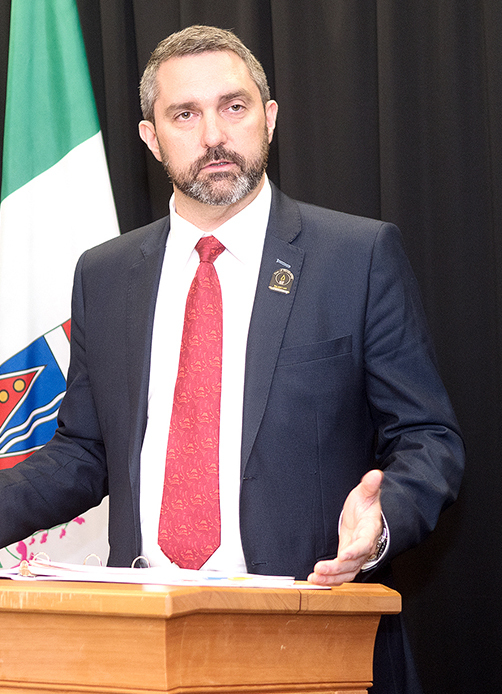 Part of the information already shared, he reiterated, was an aviation fuel exemption, a rebate for placer miners, municipalities and First Nations governments. However, as per his comments to reporters shortly after: even though dialogue may still be ongoing about home fuel, it remains unclear at this point whether those could include more exemptions or rebates. Thanks to the extended deadline announced last month, Yukoners will not see the carbon tax hit the territory until July 2019. Liberal math is what they are spinning here so yes, they think we'll receive back more than we pay, 2+2=5 and budgets balance themselves. It will be the small and medium size businesses that end up paying after the music stops with this musical chairs carbon tax rebate. It is simply a crass vote buying scam. “What, me worry?” As it really does remind me of a cover for Mad Magazine. Our Liberal government seems to be taking whatever the Feds decide to do with us. Is it not puzzling how NWT gets full heating fuel carbon tax rebate so nobody pays extra to heat their house. Hopefully people are smart enough to figure out the rebate is a vote buying gimmick. We all know governments cannot have that kind of money slipping through their fingers without getting greedy. This is nothing more than completely useless Orwellian paper exercise wherein the government will take the money with one hand and then issue a cheque to give it back with the other hand. In two years now all I've seen from Trudeau 2.0 and the Liberals is that they've demonstrated a never ending apology syndrome while simultaneously turning our government into Canada's largest drug dealer and coming up with this paper exercise carbon tax. On Canada Day 2019 the Lieberals will impose their TrudieTax on Canadians . The price of everything will increase by about 5%. It's like doubling the GST and adding the 5% GST to food. In October 2019 (or earlier) Canadians will go the the polls and say NO. NOW Trudeau is saying... whatever you pay in carbon tax, we'll give you more back!! https://business.financialpost.com/pmn/business-pmn/federal-carbon-tax-rebates-will-exceed-the-cost-for-most-people-affected - the last time i saw this scam was an African Prince who just inherited a fortune but needed my help to get that money out of the country... I wouldn't buy into a word that dropped out of Trudeau's face... he's playing to the audience for re election, as is Silver.. Trudeau has a track record for saying and promising anything for a vote. But everyone knows what his word is worth now. With the number of communications staff rattling around in government, one would expect a clear plain English description of the Yukon Carbon Tax Program to be available on the YG website by now, with a button on the home page so it would be easy to find. Justin has called the tune, It appears Premier Silver is still learning how to dance. Time for a class action suit against these lairs who use fraud to extort from people who are stuck deciding whether to eat, heat or leave if they can afford to move in a collapsing kanadistanian economy. No consent for this lunacy. Time for tax revolt. Tax is theft and used against those who pay it out of fear of further extortion and government oppression.